Getting a proper club fitting is one of the most overlooked aspects of purchasing new golf equipment. Not being fit or being improperly fit can and will lead to more frustration, higher scores, and decreased enjoyment of the game. Golf Plus will properly fit you with a trained staff, state of the art equipment, and with your enjoyment of the game as our top priority. Club Fitting (driver or irons) 30-45 minutes (Fee is refunded upon club purchase. See staff for details). +PLUS Club Fitting (woods, irons, and wedges) 60-90 minutes (Half of this fee is refunded upon club purchase). 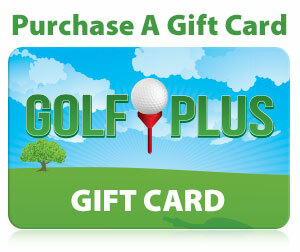 Golf Plus’ Evansville Store proudly features a full GC2 System. GC2 is a stereoscopic, smart camera system that accurately measures all ball launch parameters at impact – velocity, vertical launch angle, azimuth, back-spin, side-spin and total spin. With the GC2, you can simulate practice or play in nearly any environment and get feedback that can help you optimize your game – with unmatched results. Our unit is combined with our software and big screen – which makes our Club Fitting Services customized to each player, and allows you to simulate playing on famous courses. Launch angle: The angle in degrees at which the ball leaves the club face, measured relative to the ground. Ball speed: The speed of the ball in miles per hour (mph) as it leaves the club face. Backspin:The rotational spin of the ball in revolutions per minute (rpm) as it leaves the club face. Swing speed:The speed of the club head in mph just before ball impact. Have a question about Club Fitting? Feel free to call us at 812-477-7529 or contact us via the website.